Conferred with notable awards in Assam like ‘Surjya Kumar Bhuyan Bota’ in the year 2010 and ‘Bakul Bonor Bota’ in the year 2011 respectively, Balairam Senapati, the former president of ‘Tiwa Mathanlai Takhra’ (Tiwa Sahitya Sabha), a renowned folklore researcher and writer, breathed his last on 11th May, 2014. He was also acknowledged as government literary pensioner. An ever awakened person for the cause of socio-cultural unity, born on 3rd March, 1931 at the historic Barapujia in Marigaon district of Assam, Balairam Senapati devoted his lifetime for benefit of the Tiwa community in particular and for development, conservation and dissemination of folklore, folk music and traditional art & culture of Assam in general. He was although like a guardian of Tiwa community, on his sudden demise, the society at large in Assam is taking consolation gratefully for his invaluable and resourceful work offered by him for the society in the fields of literature, folklore, folk music and culture. In such mournful situation, dimorianreview.com also would like to pay homage to the great person; his departed soul may rest in peace in the heavenly abode. Balairam Senapati, in the literary world, started writing first in ‘Udai’, a school magazine, in 1949-50 while he was studying in Nagaon Govt. H.S. School. At that time, he also wrote some articles in Assamese, such as, ‘Biplobor Ek Adhyay Fulgurir Praja Bidruh’, ‘Jungal Balahur Aitihaxik Patabhumi’ and ‘Asomiya Kristi’, etc. He started working as a teacher at Barthal M. E. School, Karbi Anglong district, Assam. At that time, he published a book on lyrics in the title ‘Mukul’ and it was the first book published by him. Another feather of his committed work was added in the year 1995. With an honest effort, recognizing his selflessness, the ‘Tiwa Mathanlai Takhra’ published his book entitled as ‘Pachorajiya Lalungor Uporot Samanya Alokpat’. In the year 2000 he published ‘Atitor Sandhanot’ which is stated as the reflection of his past that he lived and his dedicative exploration into the language and culture. It was considered merit to his work while Assam Institute of Research for Tribals and Scheduled Castes published his another book entitled as ‘Tiwa Samaj Aru Sanskriti’ in the year 2010. This has been an invaluable contribution channeling the imminent researches. He was a writer from ‘Ramdhenu’ age. An article ‘Mikir Paharat Ki Ghatise’ which was published in 1963 in ‘Ramdhenu’ made very debatable at that time for which he happened to be escaped from ‘Mikir Pahar’ forever. 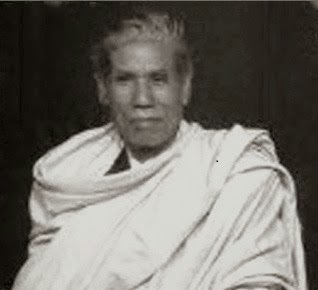 Likewise, he wrote articles on Srimanta Sankardeva, such as, ‘Kirtan Puthir Jugedi Srimanta Sankardevok Bujibor Eti Chesta’, ‘Srimanta Sankardeva Aru Tiwa Samaj Ajir Bastabatar Patabhumi’, ‘Srimanta Sankardevor Ratisewa’, etc. He wrote ‘Ratisewa’ for the first time in Ramdhenu magazine. Again his work entered into public debate; however, constructive criticism by some renowned persons of Assam like Maheswar Neog helped him to get the situation comfortable. It is noteworthy to be mentioned here that only for his effort the tradition of ‘Ratisewa-Bhakatsewa’ is still continuing in his own Barapujia area. Balairam Senapati was a man of depth knowledge on the socio-cultural aspects of both the Tiwa and Karbi society. He wrote articles more than hundredsfor different publications like magazines, newspapers including Ramdhenu, Nabajug, Satdiniya Asomiya, Amar Pratinidhi, Goriyoshi and various occasional souvenirs. Some of the articles published in the newspapers are ‘Lalungor Chot Bihu Mela Aru Boka Nach’, ‘Lalungor Lokageet Lalihilalee’, Langkhun Pujar Nach Aru Geet-Mat’, ‘Asomiya Bhakhaloi Tiwa Bhakhar Sambhya Borongoni’, ‘Ojonojatir Logot Janagatir Milanot Badha’, ‘Tiwa Janagustir Sram Binimoy Pratha’, ‘Sampadokor Hatot Buranji Kiman Nirapad’, etc. ‘Herowa Atitor Sandhan’ is stated to be the last piece of articles written by Balairam Sepanapti which was published in the souvenir ‘Sagrasal’. It was published on the occasion of North-East India Tiwa Cultural Festival held at Jagiroad of Marigaon district during last week of December, 2013 to first week of January, 2014. He was a man of manifold activities in various areas and apart from folklore research and writing, he was a good lyricist, song composer, actor, dancer, etc. He practised classical music in school life. He had experiences of acting in One Act Play organized in Nagaon. On his active coordination, five musical documentaries were arranged and disseminated by All India Radio, Nagaon. He always tried to collect and preserve various folk songs and music prevalent orally; even sometimes he tried to preserve giving his own voice maintaining originality for the benefit of the future generation. For his strong patronage, ‘Tiwa Kristi Sanstha’ was formed with the aim to practice, preserve and popularise the Tiwa folk music, dance, language, tradition and culture. He was a lifetime member of this cultural organisation. For his initiative only the present form of ‘Kahi Dance’ becomes prevalent in Tiwa society. The dedication of Balairam Senapati for the society is ever incomparable. His absence today is an emotional state all around with definite truth of never filled loss to the society.What else we say is so short, what else we think will be very little. Although we shall never reach him, still we can do something, remember him if we little try to know about his work and contribution left for the society.